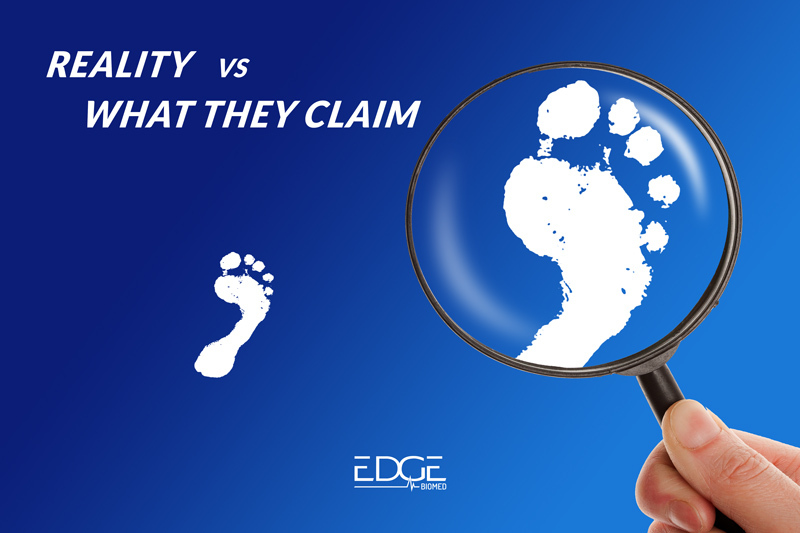 Why Do Other Biomed Companies Claim to Have A Big Footprint When They Really Don’t? eBioTrack- no other company has an asset management software platform that offers a company officer their own log-in to a cloud-based program that is accessible 24/7. NO ONE! All Edge technicians are EMPLOYEES of Edge, covered by Edge’s robust, BIOMED-SPECIFIC liability policy. Don’t believe this is important? Ask for our policy, then ask for your current provider’s. Edge protocols are specific, rehearsed and mandatory. How we interact with the customer, service equipment and assist in compliance are all pillars of our offering. You will not find this elsewhere. Edge does NOT sell equipment . Our goal is to be your partner for life, by giving you sound advice and direction regarding the medical equipment you have invested so much in. Edge is building relationships for life. We don’t want a provider’s business one time. We hope to win that business forever by being an indispensable partner that providers can rely on. Take a look at our footprint of actual Edge employees here: www.edgebiomed.com/locations.